Right Drainboard Advance Tabco 94-61-18-24 Spec Line One Compartment Pot Sink with One Drainboard - 48"
With its 24" drainboard, this Advance Tabco 94-61-18-24 Spec Line one compartment pot sink provides ample space for any manual warewashing task. 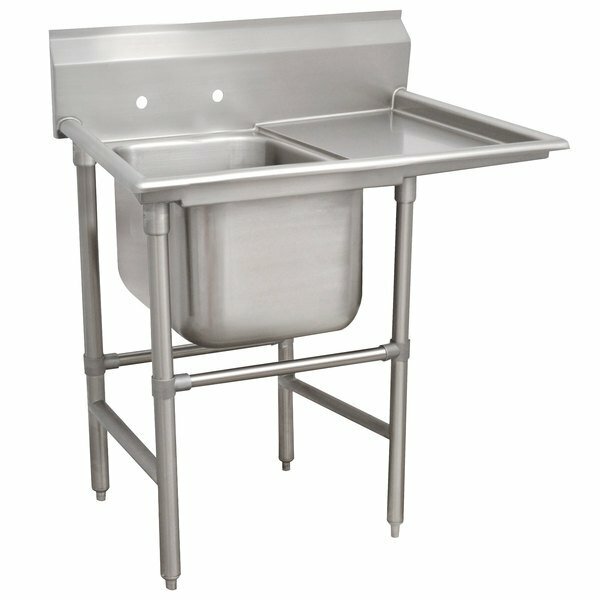 The Advance Tabco Regaline 94-61-18-24 Spec Line pot sink with one drainboard is made of rugged, 14 gauge 304 series stainless steel to stand up to the harshest abuse in the busiest commercial kitchens. The Advance Tabco Regaline 94-61-18-24 Spec-Line one compartment pot sink's 11" high, full length back splash has pre-drilled faucet holes set on 8" centers. 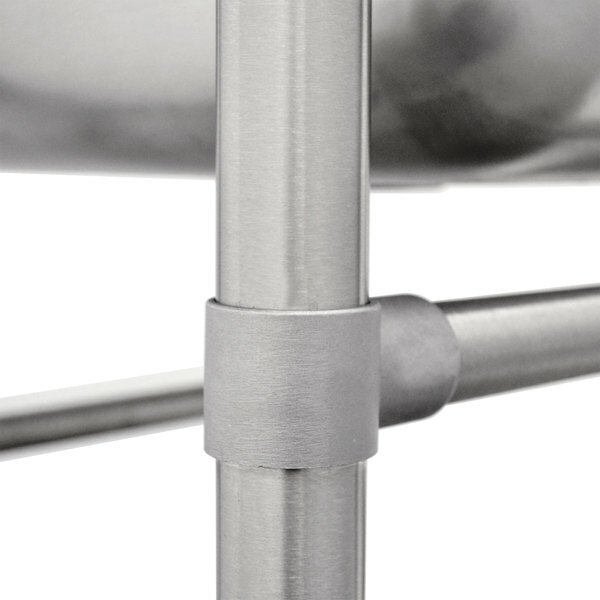 Front and rear cross braces provide added stability, while 1 5/8" diameter stainless steel legs with matching bullet feet allow for precise height adjustments. Advance Tabco 94-61-18-24 Spec Line One Compartment Pot Sink with One Drainboard - 48"
Advance Tabco 9-81-20 Super Saver One Compartment Pot Sink - 29"
Advance Tabco 93-1-24-36RL Regaline One Compartment Stainless Steel Sink with Two Drainboards - 90"
Advance Tabco FC-1-1818-18 One Compartment Stainless Steel Commercial Sink with One Drainboard - 38 1/2"
Advance Tabco 94-21-20-36RL Spec Line One Compartment Pot Sink with Two Drainboards - 94"